• Unique design — soft horizontal fabric vanes attached to a single sheer backing allow for enhanced views to the outside and full beauty of the fabric appearance to the inside. • Innovative operation — the revolutionary Invisi-Lift™ system suspends the soft vanes for variable light control and privacy. • Versatile functionality — a single operating cord, hand-held Platinum™ remote or wireless wall switch allows shadings to be closed for privacy, adjusted for precise light control and view-through, or completely open by retracting into the headrail. • Ultimate flexibility — flatten the vanes for a smooth, more contemporary finish, slightly raise the vanes for a gentle contoured look, or fully open the vanes to provide a clear view to the outside. • Ultraviolet protection — the sheer backing reduces glare and filters harmful UV rays; blocking up to 81% of rays when vanes are open and up to 99% when closed. • Seven beautifully textured fabric styles — Satin, Satin Metallic, Shantung, Angelica, Bamboo Flax, Cotton and Linen — and 65 color options. • Semi-opaque and room-darkening fabrics in two vane sizes, 4″ Petite and 5″ Grande. • Widths up to 120″ and heights up to 144″. • Standard fabric-covered headrail and bottom rail create a unified look from top to bottom. • Color-coordinated hardware and cords. Choice of three proven lifting systems as well as the Two-On-One Headrail and specialty shape design options. The Curtain Boutique is a leading Singapore Curtains & Blinds supplier. 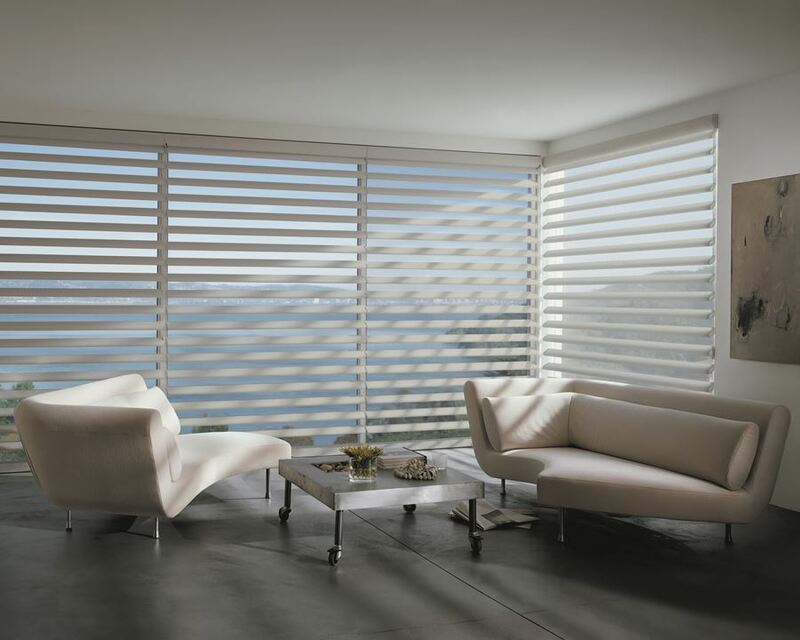 We are proud to be an authorised gallery dealer of Hunter Douglas products. 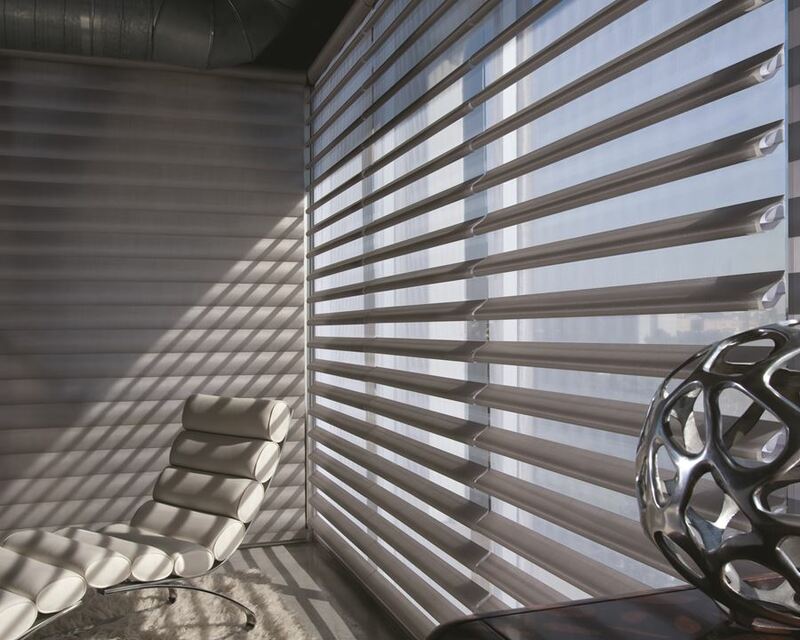 Contact us today at enquiry@tcb.com.sg to find out more about our Hunter Douglas Sheer & Shading Collection.